This is a great coat ensemble! 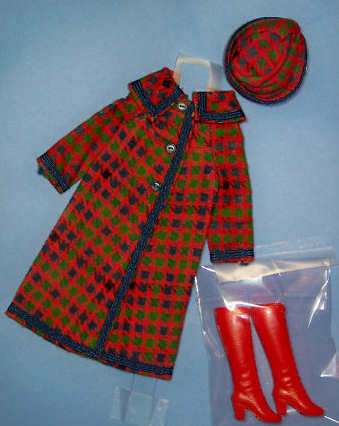 The flannel coats and matching hat are a red, green and blue houndstooth plaid coat. The coat is trimmed with blue braid and buttons. There is a variation of this that has black in the plaid, in addition to the red, green blue.